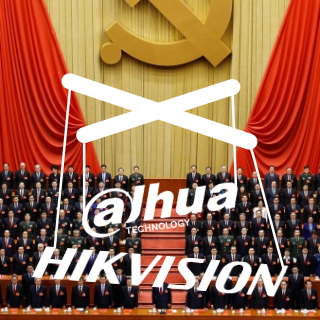 Tom Cotton, Republican senator from Arkansas, has publicly called Hikvision and Dahua “puppets of the Chinese Communist Party and the People’s Liberation Army” and urged the US government to sanction them for their extensive involvement in the Chinese region of Xinjiang. Cotton’s speech comes only about a week after 3 British MPs called for Parliament to investigate Hikvision over its Xinjiang ties. Cotton went significantly further, directly urging sanctions that would “deny [Hikvision and Dahua] access to Western markets”. The remarks add pressure on the firms over their Xinjiang activities, a topic neither has ever publicly addressed despite winning over $1 billion in state surveillance projects there. International outcry over Xinjiang is rising as news trickles out of the Chinese government’s detention of up to one million civilians in ‘re-education’ camps and intrusive surveillance methods. Cotton Calls China "Evil Empire"
*** ******,********** ******* **** ********, *** ******** ****** ********* *** ***** “******* ** *** Chinese ********* ***** *** *** ******’* ********** ****” *** ***** the ** ********** ** ******** **** *** ***** ********* *********** in *** ******* ****** ** ********. ******’* ****** ***** **** ****** **** ***** * ******* *** ****** *** ************ *********** ********* **** *** ******** ****. ****** **** ************* further, ******** ****** ********* **** ***** “**** [********* *** *****] access ** ******* *******”. *** ******* *** ******** ** *** ***** **** ***** ******** activities, * ***** ******* *** **** ******** **************** ******* **** $* ********* ***** ************ ******** *****. ************* ****** **** ********** ******** **** ******** *** ** *** ******* **********’* ********* ** up ***** ******* *********** ‘**-*********’ ***** ************ ************ *******. ****** ***** ***** "**** ******"
** **** ***** ** ******** ********* **** *** ************* *****'* instruments ** **********, **** ** *** *****-********** ************ ****** ********* Hikvision *** ***** ************. **** **** ***** **** ****** ******* cousins, ****** *** ***, ***** ********* *** ******* ** *** Chinese ********* ***** *** *** ******'* ********** **** *** ** ought ** **** **** ****** ** ******* *******. ************, ** **** **** *** *** ********* **** ******* ***** build **** *** **** ******. ********* **** ****** ****** **********, which ***** *** *** ********** ***** **** ** ***** ******* dossiers ** *** ****** **********. **** ** *** ******-***** ******* rope **** *********** **** **** ** **** **********. **** ***** ****** ********, *****,** **** *** **********, **** * *** *** ********’* ***** ****** ** **** and *** ********** ******* *** ************ **** ********’* ****** ******** Bureau. ******** ******** *** ****** *** ***** **** ******** *** no "*********" ********, *************************** *****’* “**-****** ‘***** ******’” *** ********* “************ *******”. [*****’* ******** ********* **] ** ******* ** *** ********-*** ***** order, *** * ********** *********** ** ** *********** ***** *****-*** controlled ** *** ******* ********* ***** *** *** **** **** in **** ***. **** *** ** ** ***** ** *** past ***, *** *** *****, **** ** ***** *** ******. ****:**** ***** * ********* ** *** ******* **** ******. *** ****** *** *** **** ******* ** *** *** *********. *****, ****** ******* **** "*******" ** *** *** *** ********* Party ******* ******* **** *****' ******** ** ******** ******** ********** from *** ******* **********. ****** **** ***** ******* ***,***** ************ ** ** * ***** ******* ******* (****** *********), ***** Hikvision**** *** ******* "********* ** * ********" *** **** ** "**** ********* *****". ******, *** ****** ********* *** ********** ** ******** ********* *** Hikvision *** *****. **** ********* *** ******* ***** ********** ** both ********************************* *** ***** ****** ** **** ***** ****** **** ***** any **** ** ******** **** ** *******/********. ** *********/************* ** ** ****** ***** ***********, *********, *** ***** **** ********, *** ** ********** can ****** ********* ****** ******* ** ****** *** ******. *** ****** ** **** *** ** *** ******** ** ********* ***** ****** ****** ***. ******** *** ******** **** **** *** ******* ********* ******* Chinese ** ** ********* ** ********, ** **** **** *** US ********** ***** * ****** ***** *** ******* ********* ********* surveillance ********** ** *** ******. **** *********, **** * ****** could **** **** *** *** ******* ******** ********* ** ********* and *****. ******’* ****** ** * ******** **** ******** ********* *** ********* and ***** *** * **** **** *** **** *** *****' Xinjiang ********** ******** ** **** ***** ****** *****. **** ** something ************* *** *********** **** ** ******** ** *** ***** attention **. ********* ** *** ******* the **** ****** ***** surveillance ******* ** *** world. *********, *** ** a **** *** *** the ***** *** ********* attention **** *** ******* around *** ***** (*** UK *** **** ****,****** *** ********* ********, ***.) ** ************* for *** ***** ************ industry. **** **** ********* ******* to **** * *** years ***, **** ********* proponents ** **** ****** that **** *** **** for ********* (* ******* of "*** ********* ** good *********" *****). ** fairness ** ****, **** have ******* **** ****** since ** ** **** obvious **** **** ** not **** *********. *** Deng ******** ***** ** "hide **** ******** *** bide **** ****" ******* worked ****** *** *** PRC. **************, ***** *** ********* overseas ********* *** ***** to ****** ** *** 'puppet' ****************. *****, *** them, **** *** **** trying ** **** ******* and **** ***** ********* numbers. *** ****** ******* is ******* **** ***** what **** **** *** products *** *** ** allowed ** ****** ****. That's ***** *** ***** Communist ***** ******* ***** from. **** ******, ********* ******* ****** **** ******* *** **** ************* ****, ** ***** ****** **********. *** * ******... *** * ******. ***’** * ******. ***** * *** *** of ***** (*** ***** for **** ** *** a *** ** ************)***'* it **** ******** *** way *****'* *********** ****** not ** ***** ** contencts *** ** ***** of ****?... *** * ** not **** ******* ***** America *** ****'* *** the *****'* ***********, ** least **** (**** ******* here ** *****)...* **** ,regardless ** **** *** truth **, ***** *** two ** *** ******* companies ** **** ** the ***** *** ****** just *** **** ***** like ******* **** *** refer ** ****...*** ***** say ***** *** ******** about *** *********,***** ******** or ******** *** ** the ***** ** **** opinion ** *** ********* data *** ****. *** ***** so ***** *** **** in **** ********, ******** ,just ** **** *** favor ** ******** *** can't ********** ***** *** basic ******** *** *** Terminator ********...* **** *********** should **** ** ********* when **** ******...****** *** this ********...****'* *** ******** of *******...**'* *** *** www2 ******** **** ** people **** ********* ** Hitler...you ****** *** ** just **** **'* ******,********,***** situation..isn't ** **** **** to *** ******? ** ** it **** **? * ** ***** **** the **** '******' ** not *********** ** **** as ***** ************. ***** are ********* ********** ******** about *********, *******, *** ownership *** *** *** of '******', * ** Pinocchio ** *** *******, is ***** *** ********. ******* ****** **** *** only ******* ** *** with ********** *** ****** is **** “***** *** too **** ***** ****.” Ignoring *************, ********** *********, forced *************** ********* ****,Tom ****** ******* **** *** ** ****** ** "*****" ** *** ** ****** *** "*******" detained in Gitmo. As far as Cotton is concerned, "[the *********] *** *** ** ****. *** ** **** ** **** ***’* ** ****, **** **** *** *** ** ********** ***." This is counter to the position of many other Senators and President Obama, who has promised time and time again to close the prison. There are still dozens of men held at Gitmo who ******* ******* *** *******, but **** *****’* **** to ****** ******* ****-***-***-**-****.